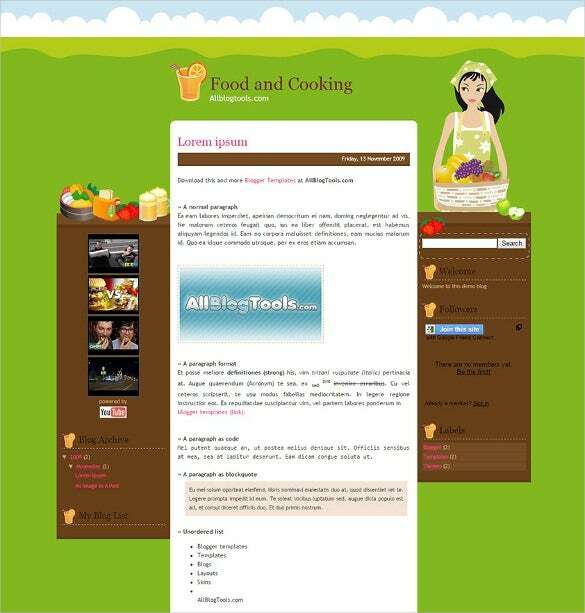 If you’re a dedicated foodie and love to blog about your food choices and food trends in the industry, you ought to have a blog which looks and works just as deliciously as your preferences in food. 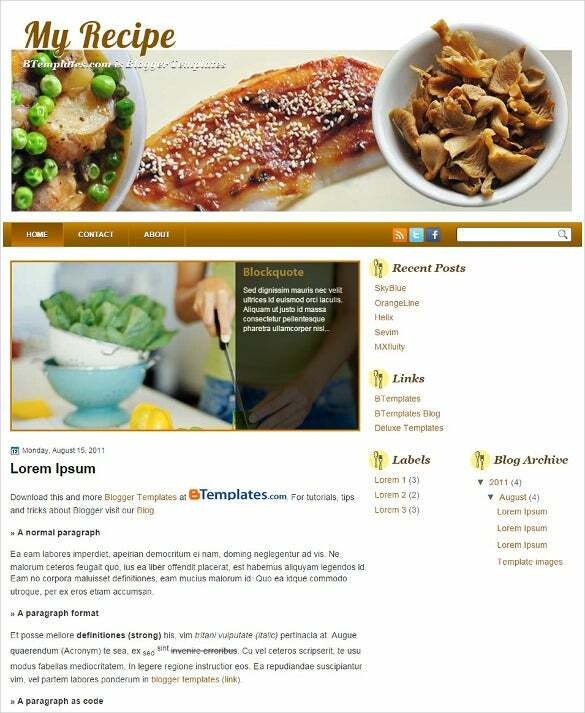 Taking cue from the popularity of food blog, we reckoned it would be a good idea to compile a collection of sumptuous top-performing food blog theme templates which you could use. 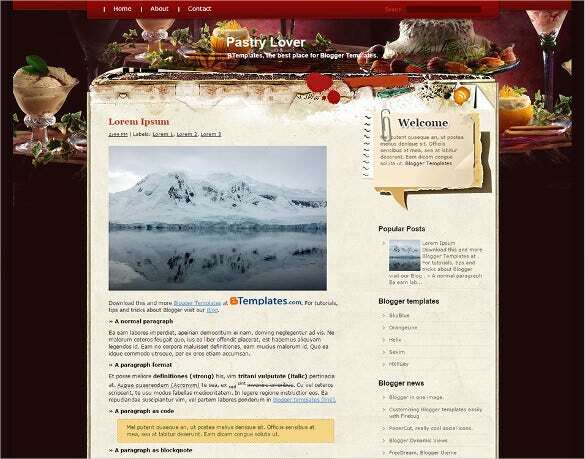 Let us warn you: just like good food is hard to unsee, good food blog themes are no exception.You May also visit Free Recipe Card, Page & Book Templates. 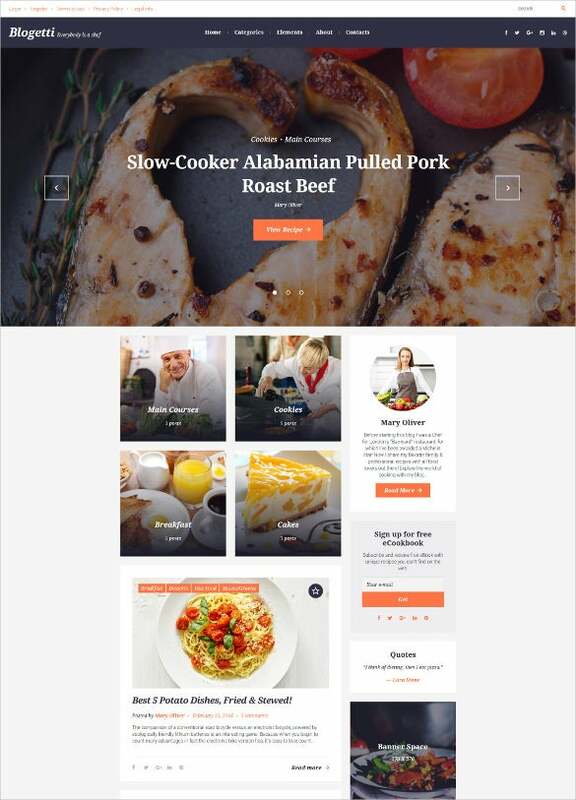 Right from professional chefs to kitchen adventurers, these Blog templates can be used to the best potential by all enthusiasts. 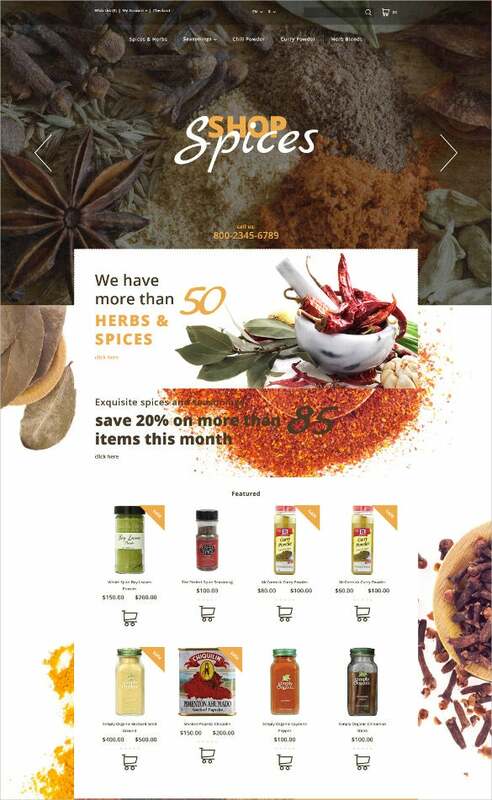 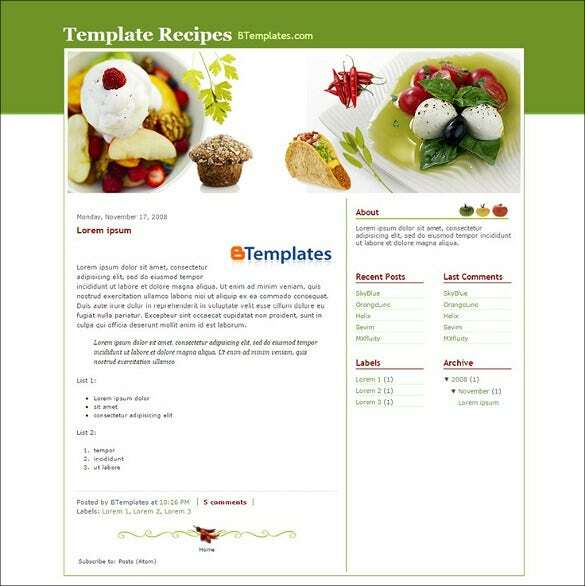 Even the routine foodie can leverage the simplicity of these templates to express his/her love for flavours. 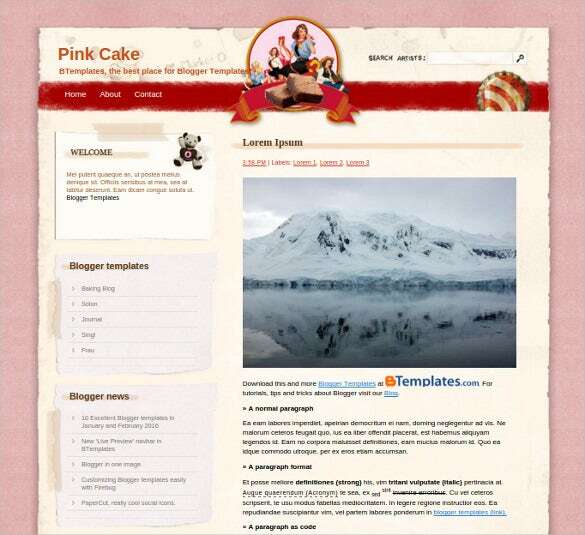 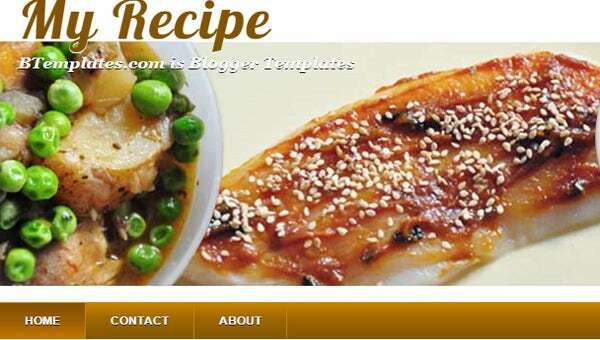 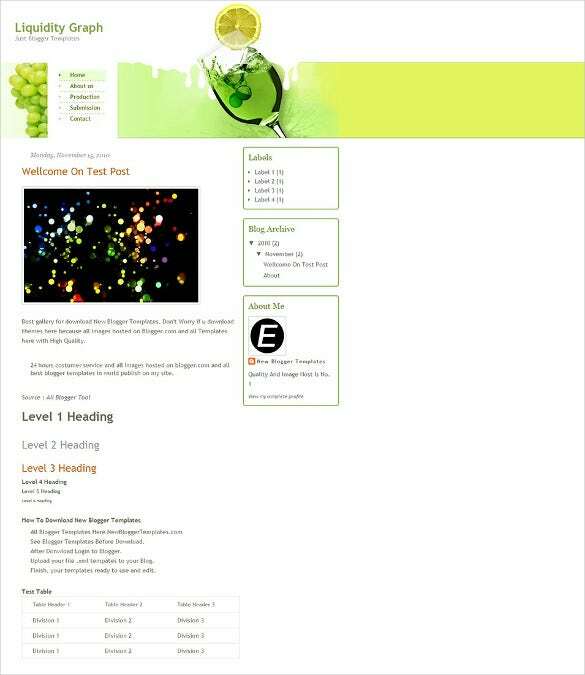 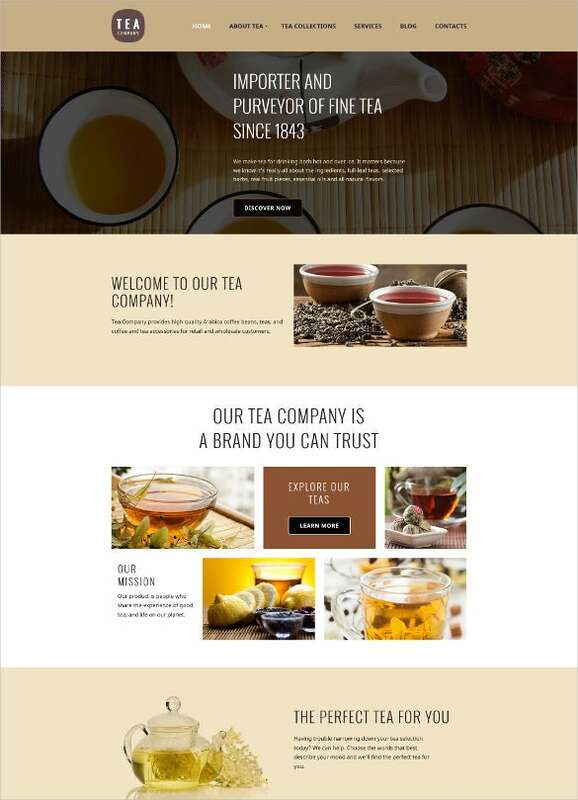 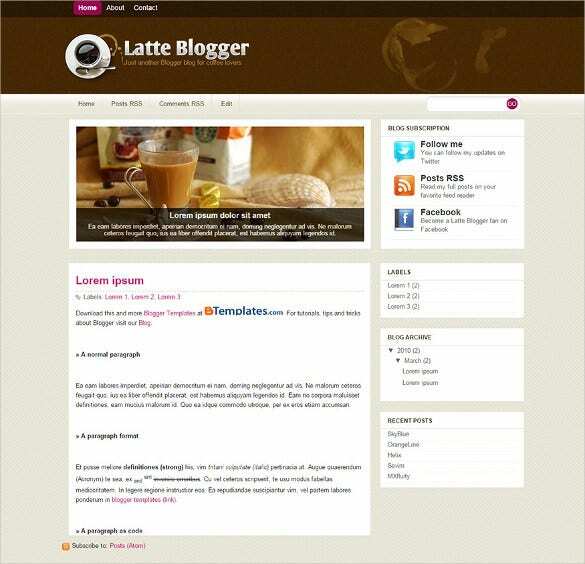 You May also visit Best Food WordPress Templates. 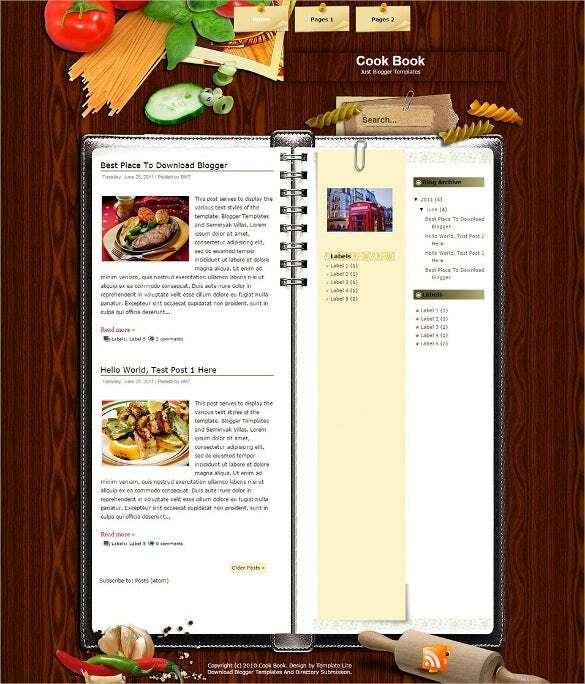 Cook Book is cross browser friendly template that sports a beautiful design. 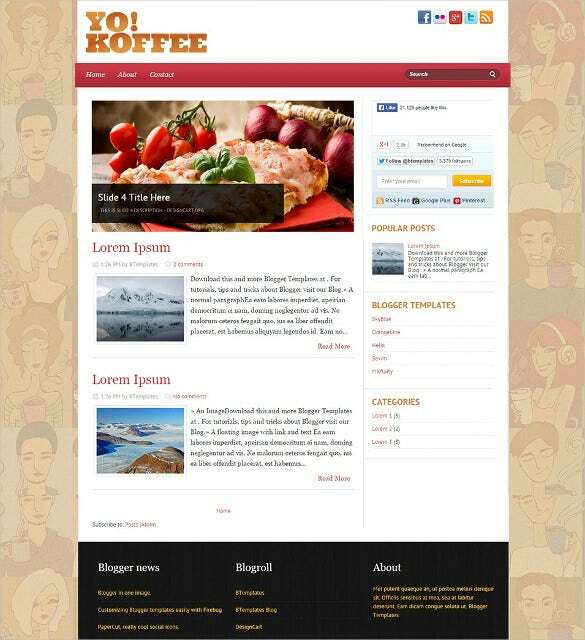 It comes with a 2 column layout, a right sidebar and a brown wood background. 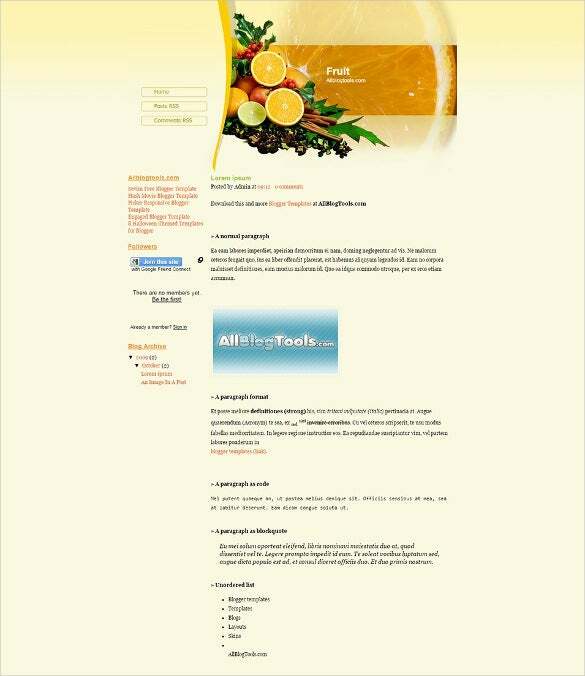 Also, it is highly editable. 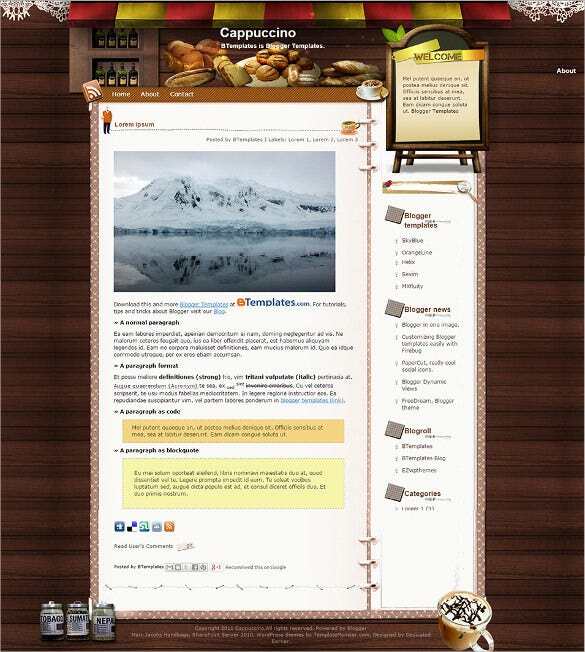 Cappuccino is a cross browser compatible template that features a 2 column layout perfect for food blogs and a right sidebar. 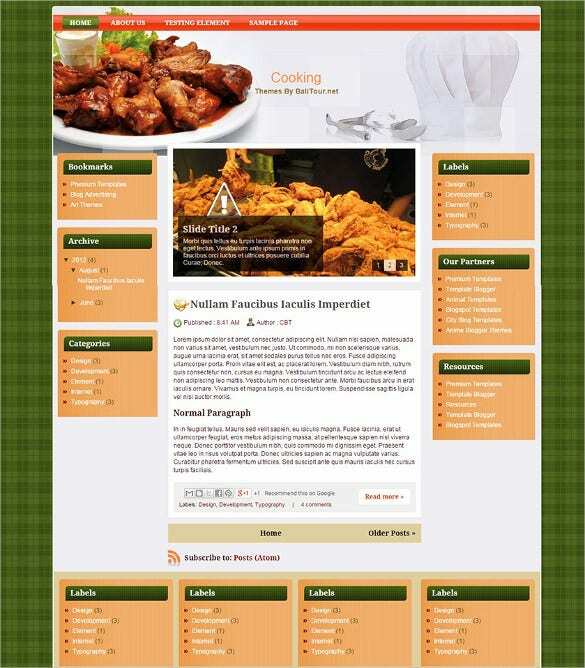 It is highly editable and can be customized to meet your needs. 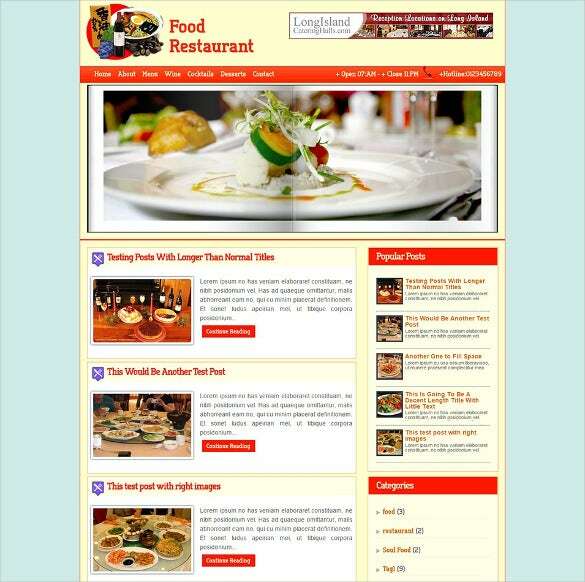 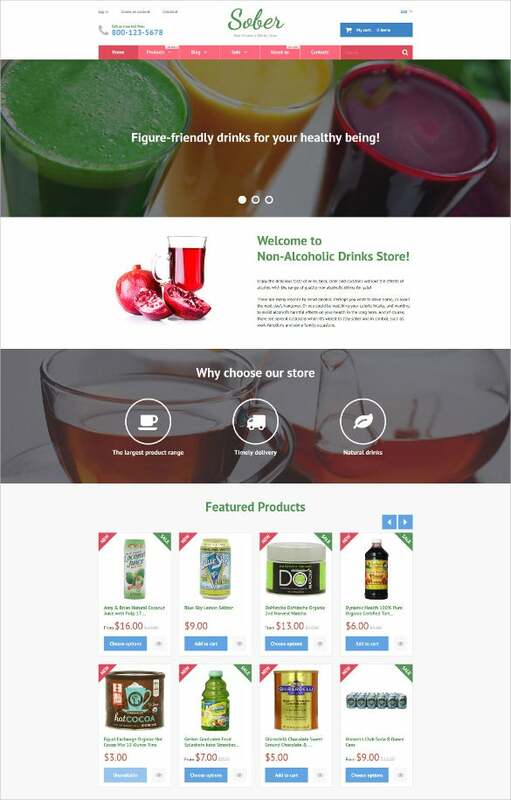 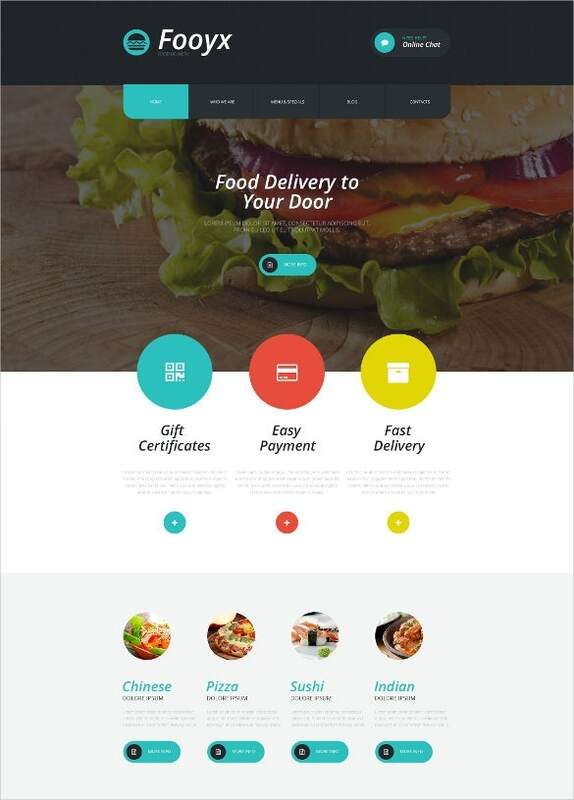 Foodie Responsive is a fully responsive and cross browser compatible template that is SEO ready. 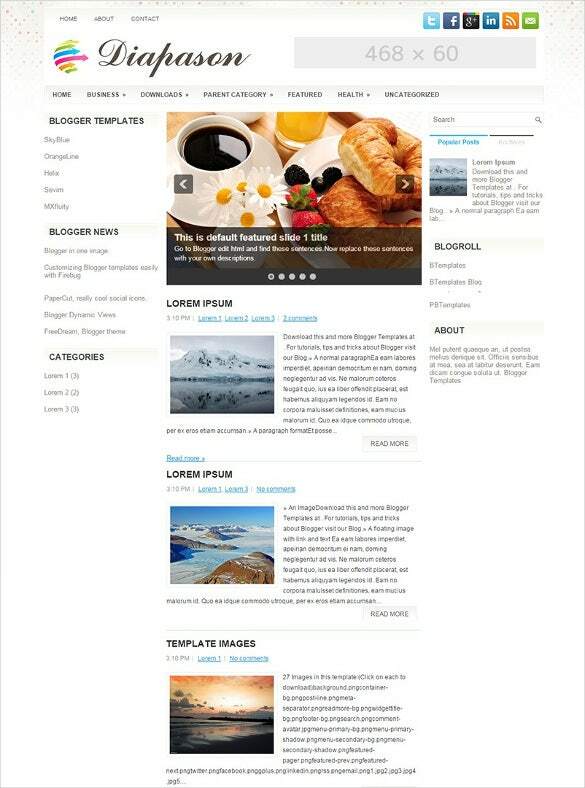 You can choose between 2 or 3 columns and comes with a left and a right sidebar. 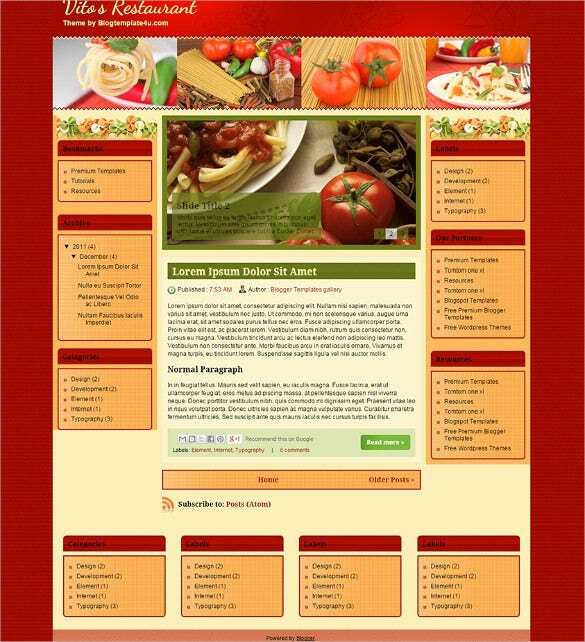 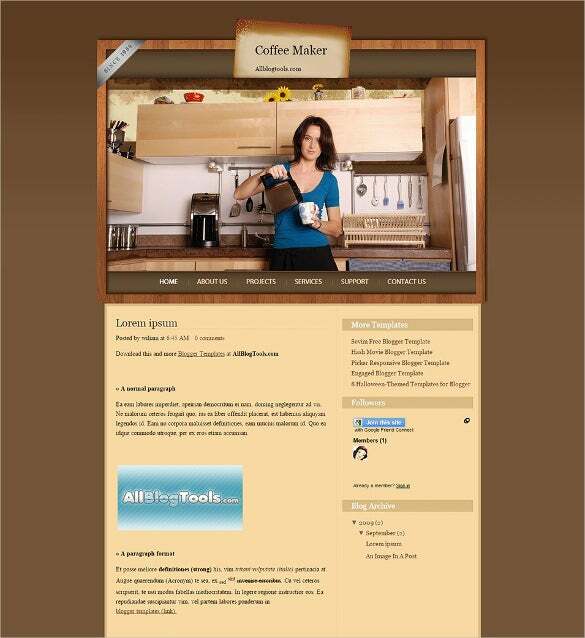 My Recipe is a beautifully designed cross browser template. 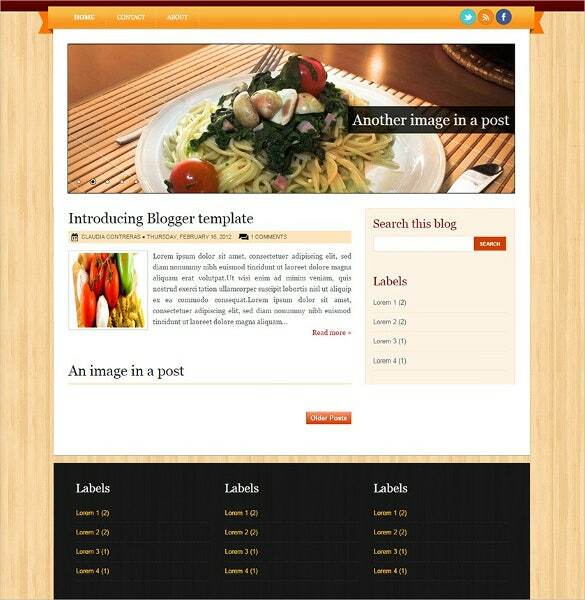 It comes with a 3 column layout, a right sidebar and a slideshow. 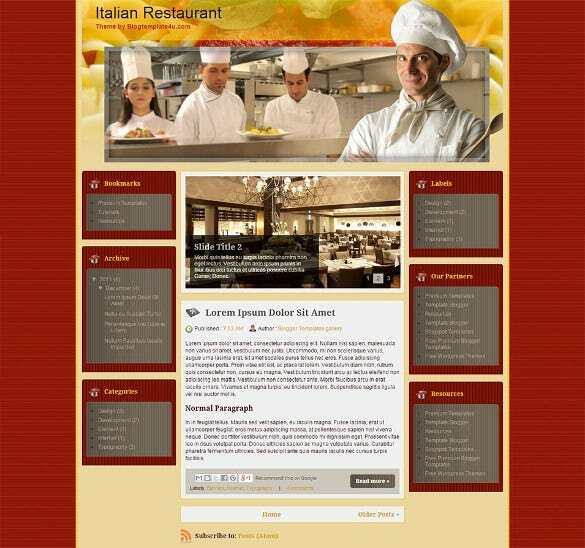 It is highly customized and can be edited to meet your needs. 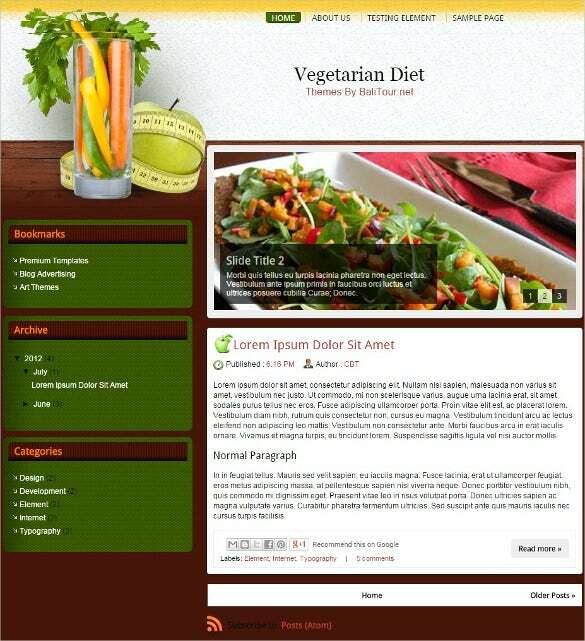 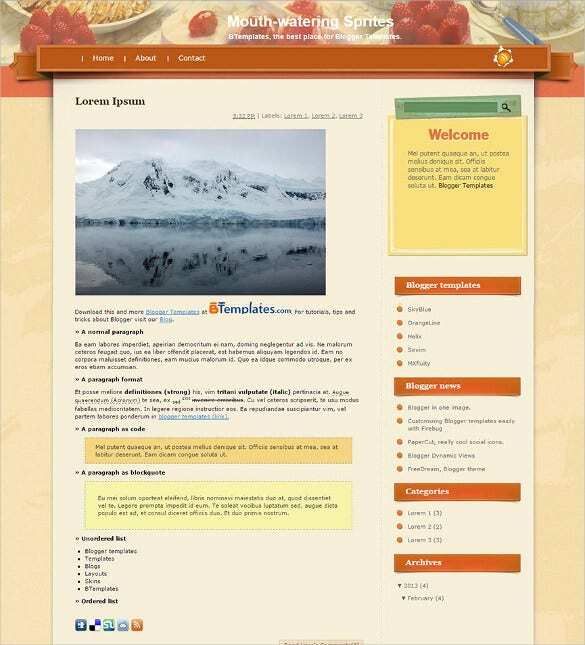 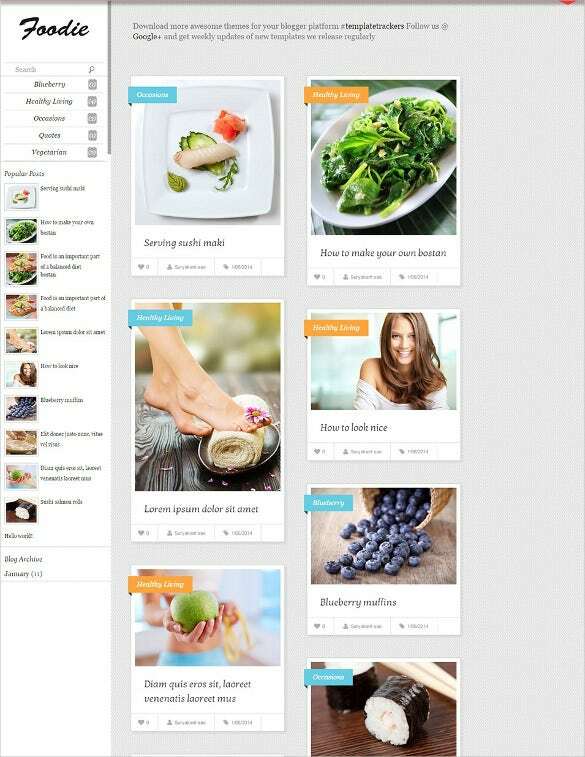 The Vegetarian Diet is well, not just for vegetarian food bloggers, it is only a theme template name. 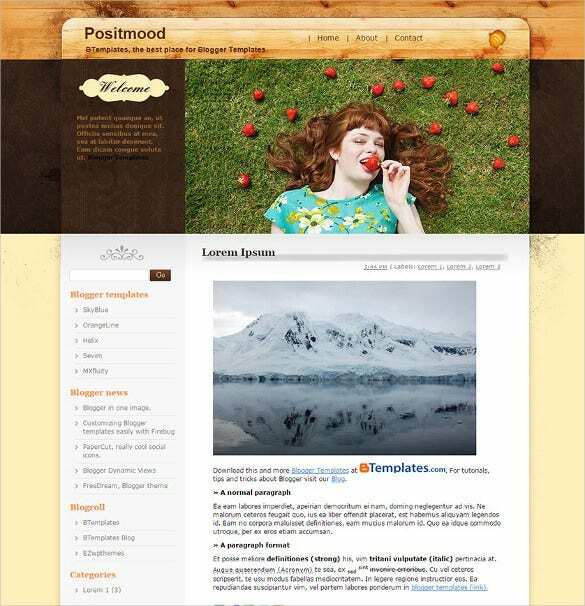 This theme template is loaded with stunning features and options such as: cross browser compatibility, professional and fully-responsive design and layout. 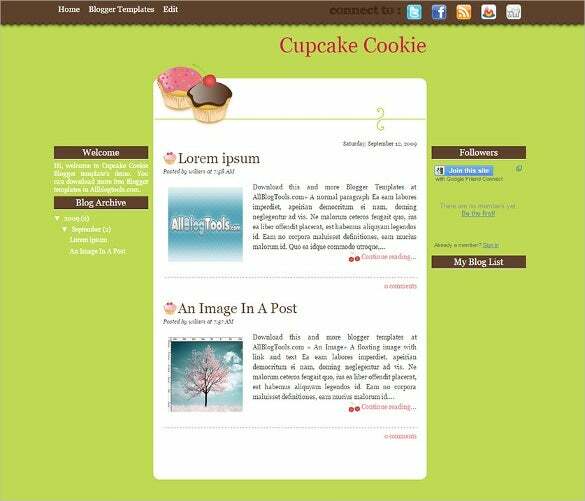 It’s design includes rounded corner styles, static page menu, 2 column layout, a left sidebar etc.